The mirror can be postioned above the stage to illuminate opaque objects. The polarizer mounted on the microscope. 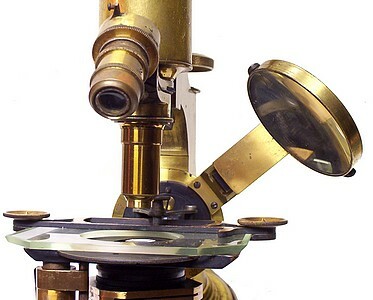 The analyzer mounts on a fitting that inserts into the draw-tube of the microscope. 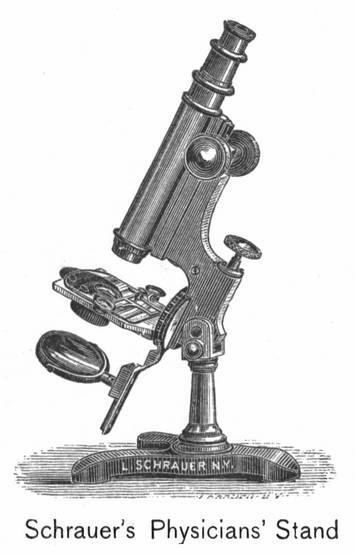 A very solid and serviceable instrument of this type is the Physician's Microscope of L. Schrauer of New York, shown in Plate VIII A. 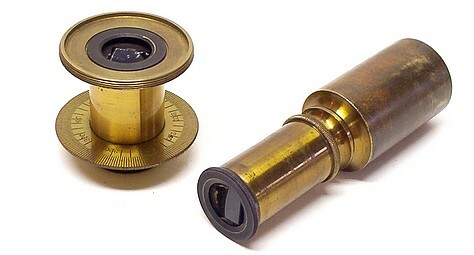 The body is large, admitting an ocular of 32 mm. in diameter, and is adjustable by means of its drawtube to any length from 16 to 25 cm or more. 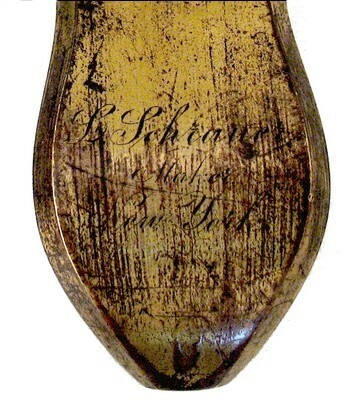 The diaphragm is inserted in the stage; and a glass sliding stage is provided, in the Zentmayer style held in position by a spring with ivory tip. 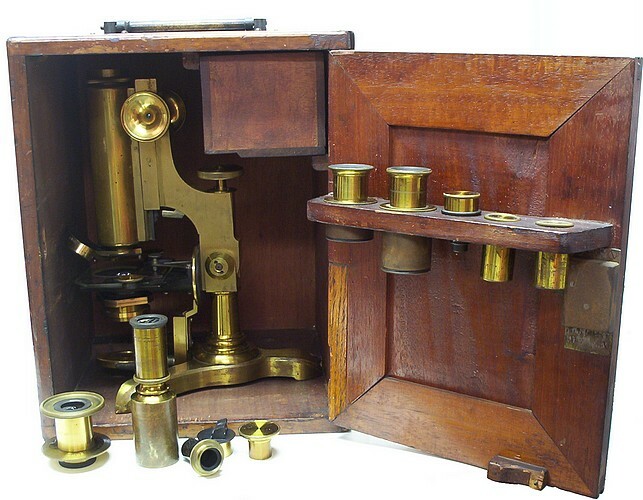 Such a stage has a smooth motion and wide range, is available for use with the Maltwood finder (a photographed scale of great use for recording the exact location of mounted objects on a slide and enabling them to be promptly found when wanted again), and is unaffected by those reagents which might in certain cases, mar a brass stage. The joint by which this stand is inclined has a set screw for securing it in any position. The disk of the swinging mirror bar is graduated as in all the higher class stands of this type, for the purpose of determining theobliquity of illumination or the angular aperture of objectives. 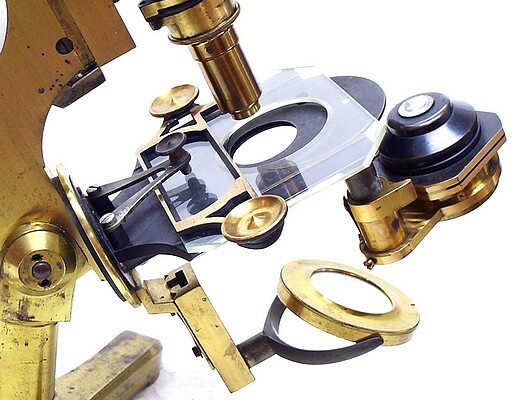 The microscope is supplied with two eyepieces, an analyzer and polarizer, a camera lucida, one Lieberkuhn, two Hartnack objectives, and three unsigned objectives of likely American origin. 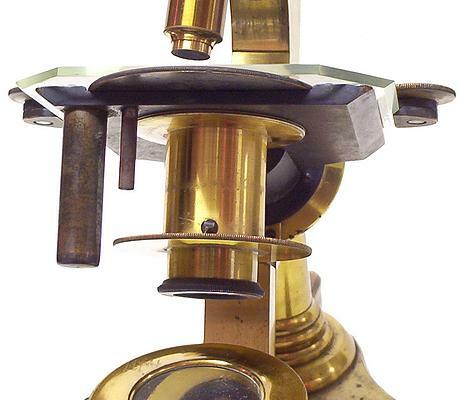 Leopold Schrauer first began the manufacture of microscopes in Boston. By 1877, he was located in New York City at various addresses. 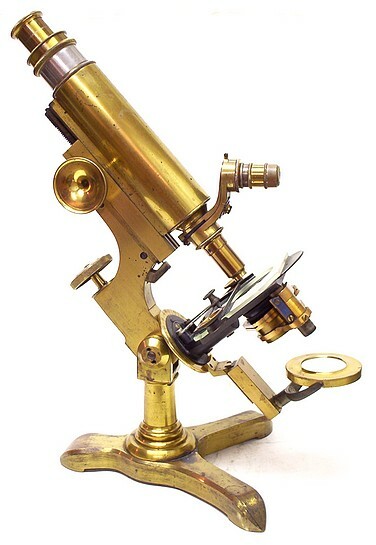 Schrauer microscopes are relatively uncommon. 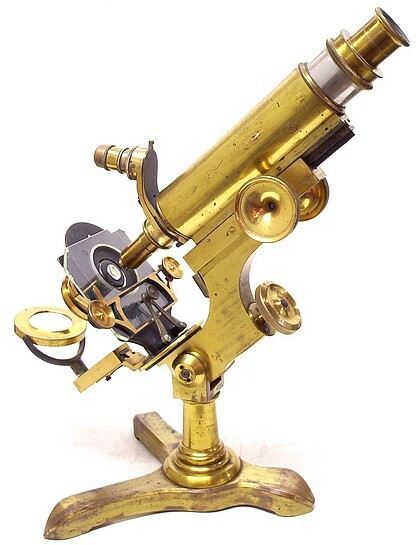 In the book entitled A Short History of the Early American Microscopes by D. Pagitt, it is stated "It is somewhat strange that Schrauer's microscopes are not more common today, since he was apparently in business for more than 20 years. This may be partially explained by Schrauer's proclamation that he gave no discount to the trade which would indicate that he did not have access to the traditional marketing agencies".